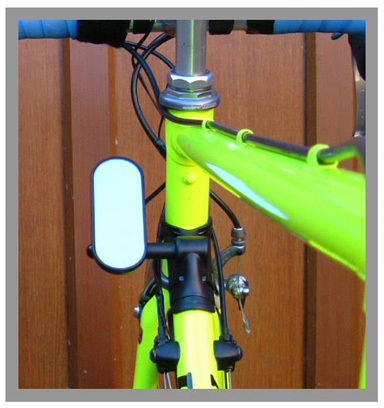 As you know, there are lots of bike mirrors to choose from, but Bike-Eye® is different, in fact it’s unique. 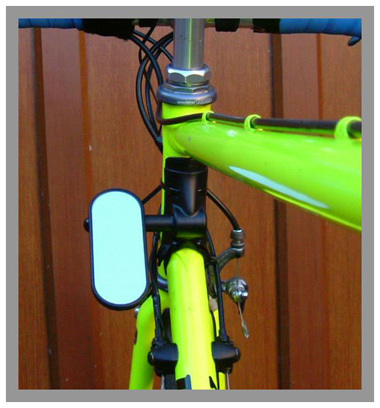 Unlike conventional mirrors Bike-Eye® is mounted against the cycle’s head and down tube, keeping it out of harms way and virtually free from vibration. 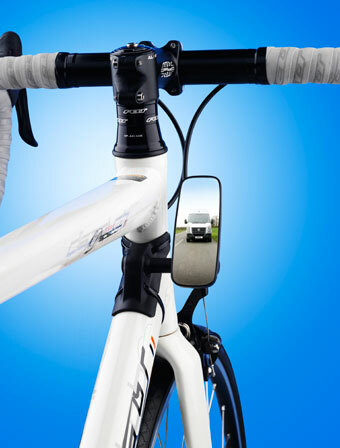 The high quality silvered mirror gives an excellent crystal clear long distance rear view and avoids the need for the rider to constantly turn to check what’s going on behind. 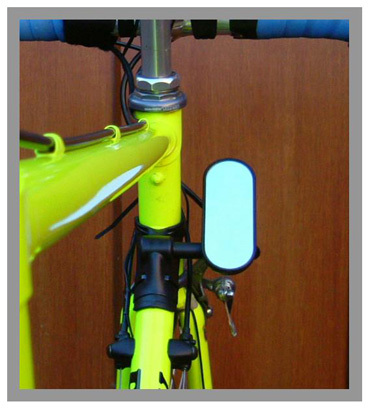 This is a major boost to safety for riders who find it difficult to turn while maintaining a straight course, a fantastic awareness aid for the regular commuter, leisure rider and the serious cyclists who like to keep their heads down when training or competing. 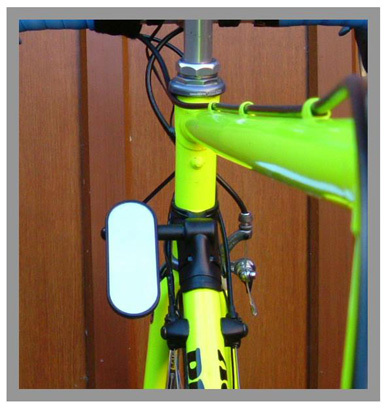 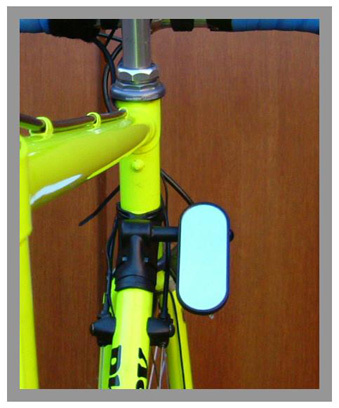 Bike-Eye® will enable you to be more aware of traffic approaching from the rear but cannot replace a final look over the shoulder to confirm when it is safe to move out or to turn. 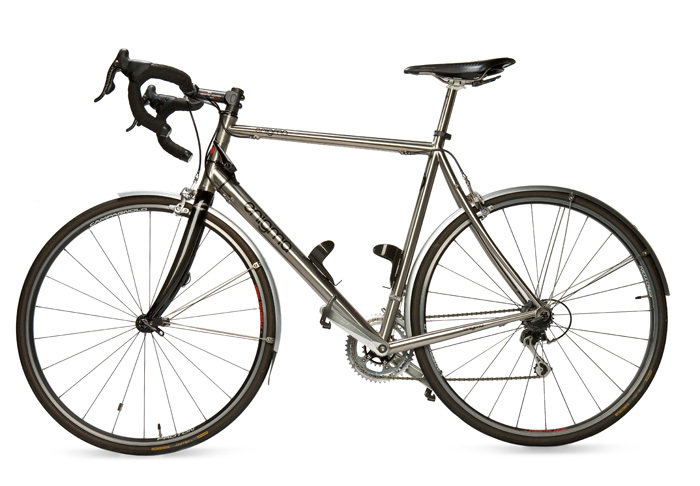 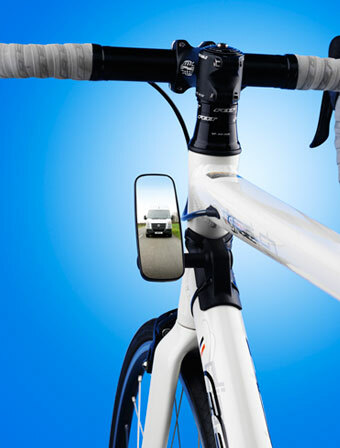 Bike-Eye®'s strategic positioning on the frame reduces the risk of knock damage or snagging and gives the mirror a virtually vibration free clear crisp image and can easily be adjusted for different riding positions. 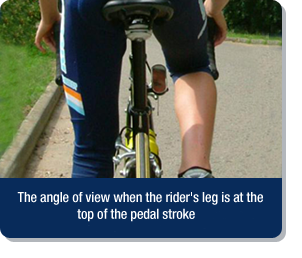 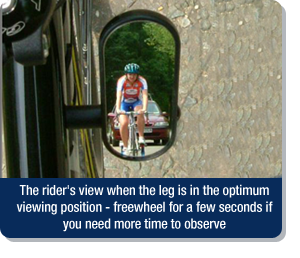 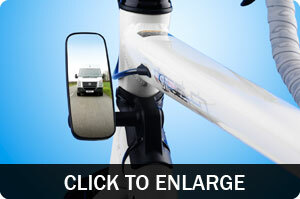 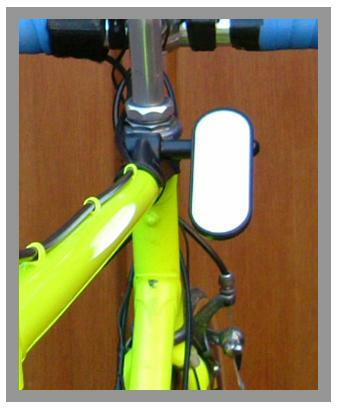 Please be aware that Bike-Eye® recommends that you should only adjust your mirror's position when you are stationary. 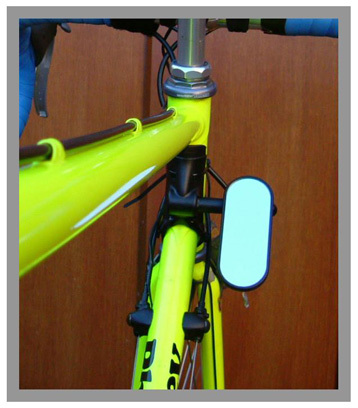 Carefully designed for most applications Bike-Eye® is fixed to the head and down tube in seconds using Ty-RAP ties, a quick simple frame friendly system that fits a large range of frame shapes and sizes and is easily adapted for right or left use. Highly durable, Bike-Eye® is constructed in ABS plastic and nylon. 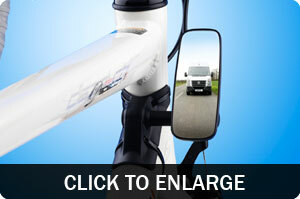 A high quality silvered mirror is used for clarity. 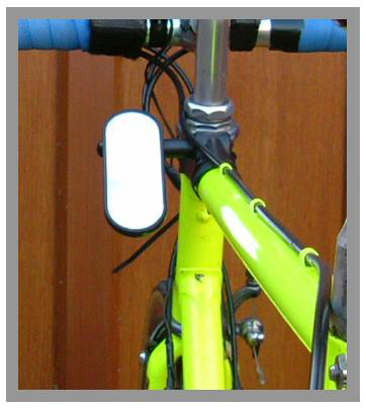 The whole assembly only weighs approx 60g. 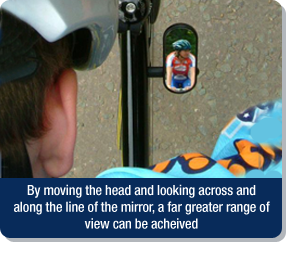 To adapt to different positions on the frame the mirror can be rotated 360 degrees, in hexagonal stages.